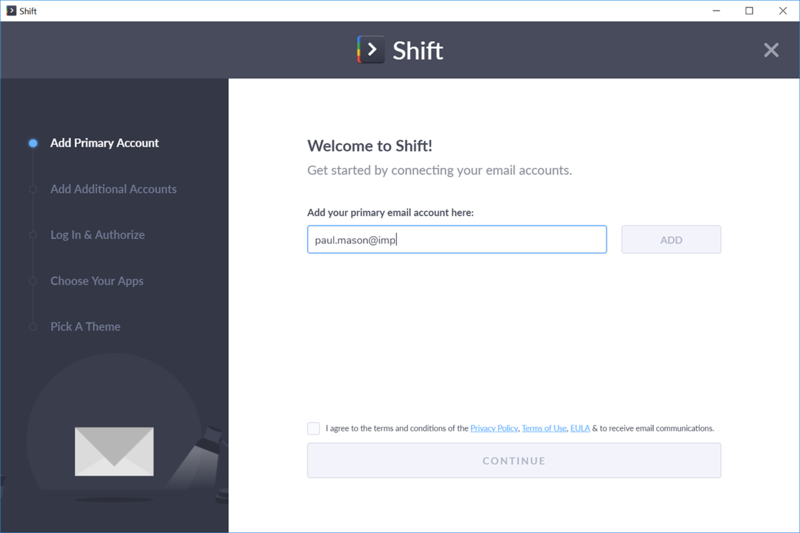 Shift is a desktop email client for Gmail, Outlook, and Office 365, that combines all your email accounts, apps, and tools used in your professional and personal life into one interface. 1. Download Shift from their homepage. 2. Create an account. 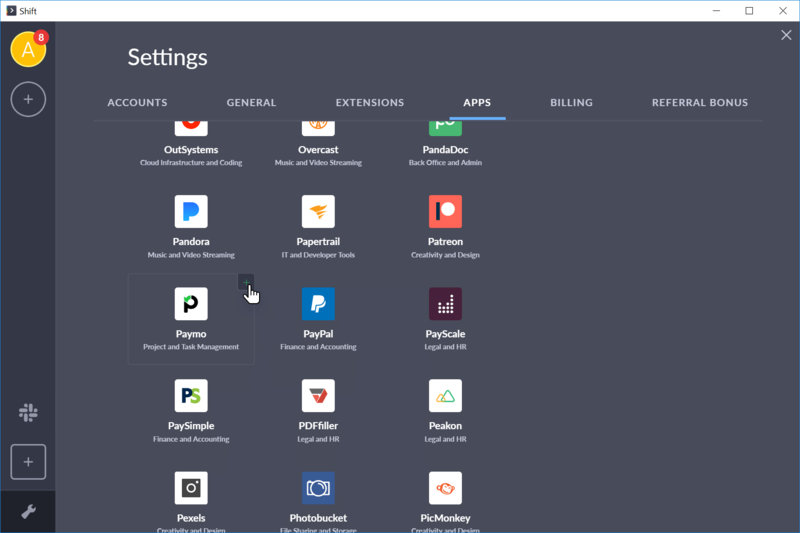 Go through the steps outlined there and choose your preferred email account, favorite apps, and theme. 3. Once the initial set-up is over, click on the “+” icon on the left side menu and type in Paymo. 4. Sign in to Paymo and you’re all set. 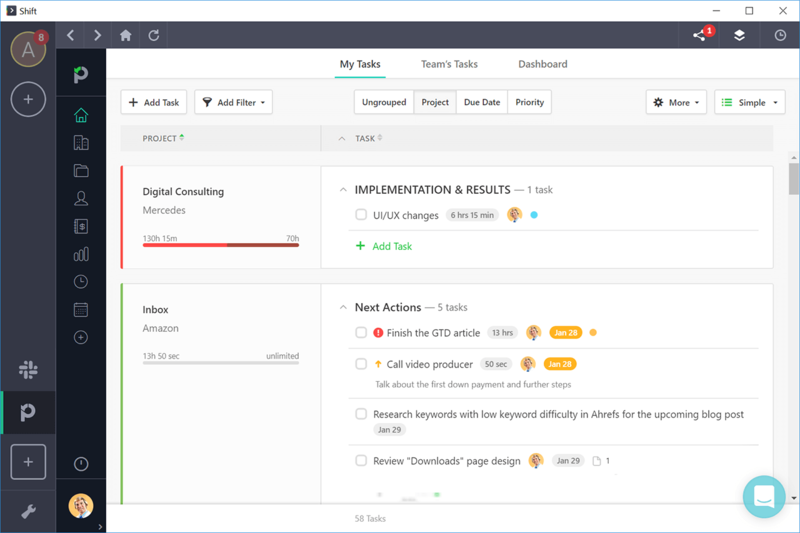 You’ll be able to manage your tasks and projects along with your Gmail inbox.